Showing results for tags 'elmarit'. Fotografiere mehrheitlich Landsachaften. Nun möchte ich ein 28mm Objektiv anschaffen. Die Frage ist welches? Elmarit oder Summicron. Ich denke ich mehme das mit dem besseren Mikrokontast. Gibt es hier Unterschiede? As good as Contax G2 + 28mm? I'm selling my 21mm Super Angulon f/4 M mount in favor of something a little more "practical". While in Cuba earlier this year, I found myself using the Zeiss 28mm f/2.8 on my Contax G2 quite a bit but for my next few trips, I'll bring only a couple of M bodies (M7 & Typ 246). I really love the results that I got out of my Zeiss and am wondering if I should go with another Zeiss (25mm f/2.8 or 28mm f/2.8) OR a new-ish 28mm Elmarit ASPH. So my two questions are "is the Elmarit ASPH quality worth more than double the price of a used Zeiss 25mm or 28mm?" and "In order to keep my work consistent, should I just stick with the Zeiss 28mm f/2.8 for the way it renders colors?" Examples of my work in Cuba with the 28mm f/2.8 on the Contax G2 below. Both photos with Portra 400. Summicron 2,0/28mm Asph. oder Elmarit 2,8/28mm Asph. Elmarit-M 28mm (III) - Blendenring lässt sich vor- und zurückschieben, ist das normal? Hey guys, together with Sailronin (Dave) here from the forum, we manage the 70mm Summarit-S lens group, this gave me the idea to start one for every lens: Super-Elmar-S 24mm Elmarit-S 30mm Summarit-S 35mm Elmarit-S 45mm Summarit-S 70mm Summicron-S 100mm Apo-Macro-Summarit-S 120mm Ts-Apo-Elmar-S 120mm Apo-Elmar-S 180mm Vario-Elmar-S 30-90mm Become a member of the groups you have lenses for, or just browse the groups of lenses you are interested in or maybe want to get to see some samples. Please since the groups are new, add photos to the once you've taken photos with so the groups will soon turn alive! Not that the 70mm lens group is 'owned' by Sailronin, and moderated by me as well hence me sharing it here. 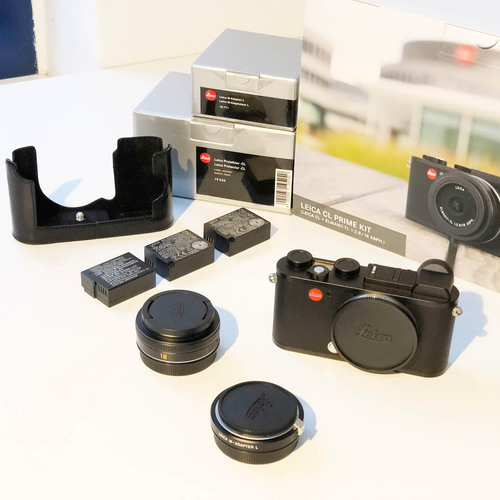 Hey guys I wrote a short article about the Leica Elmarit-M 28mm ASPH. You can read it here: Review: Leica Elmarit-M 28mm f2.8 ASPH. - Jip van Kuijk Please leave your thoughts here or in the comment section on my website. This young nephew is studying to be a lawyer. It was an overcast evening and I just managed this with an Elmarit 90 wide open at 1/30 sec. on ASA 200 film. I am a new Leica M9 user and I bought my camera with a 50mm Summicron f/2. Doing a lot of travelling I felt last week in Chicago that I really need to go wide when shooting skylines, architecture and interiors (it was the art museum). In two weeks I will go to India and I really want something before that trip. I have been thinking of both the Super Elmar M 21mm and the Elmarit M 28mm ASPH and I am going back and forth between them. I am quite well aware of the positives and negatives of them but cannot make up my mind! What would be the recommendation from you using these lenses today in your daily photography and when traveling?